The African Development Bank (AfDB) announced the relocation to Cameroon of its General Directorate for Central African Countries, formerly headquartered at the pan-African financial institution in Abidjan, Côte d’Ivoire. 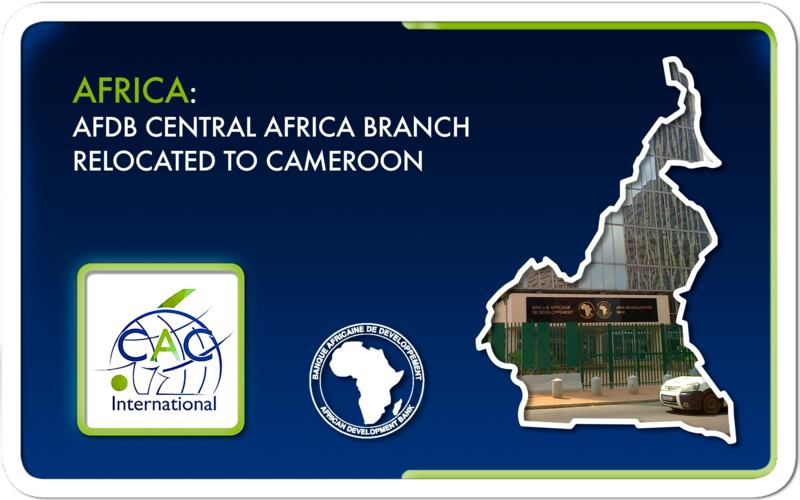 The transfer of this branch to Cameroon is part of a global decision of the leaders of the ADB, which aims to bring the directorates of this financial institution of the sub-regions concerned, for greater efficiency, we learn officially. “The distance between these different structures can lengthen deadlines, especially for the non-objection that must be given to certain projects. This decentralization brings us closer and allows us to go faster. And the objective is that we are not a bank of approval, but a bank of execution, “rejoices Ousmane Doré, the Director General of the ADB for Central Africa, which will soon take up residence in Cameroon.